← Maybe I’ll Keep the iPhone for Awhile? I’m so hip I need a replacement. I started tweeting, more or less. I have had the account for over a year, but now I am using it more. I have no idea what it is for, other than to kill time. I also have no idea what all the # symbols mean, someone show me the light? I started following John Cusack. I think he must drunk tweet, or has never taken an English course in his life, because he don’t seem to talk real proper on the tweets. 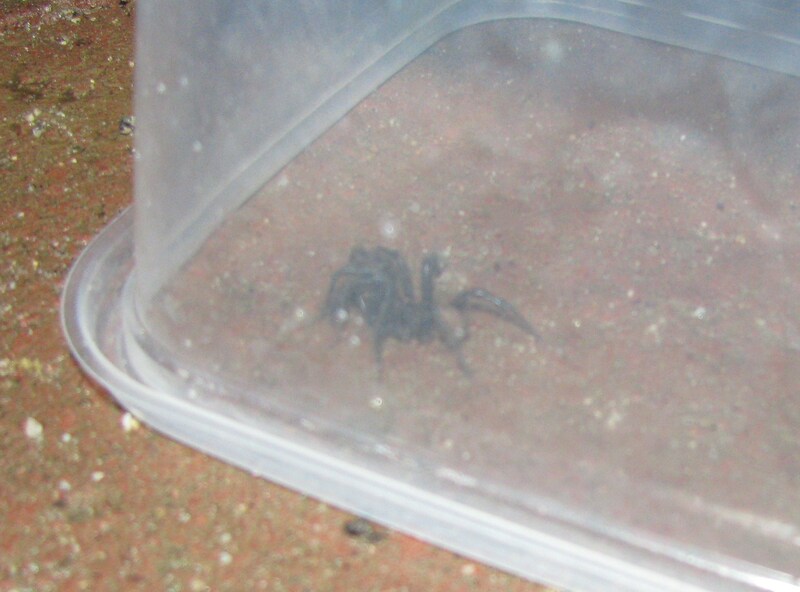 side note: I just saw the world’s largest spider crawl out from under the porch I am sitting on. I trapped it instead of killing it because I want someone to believe me when I talk about it. So, just before coming outside with the laptop, I made a glass of Kool-Aid. I didn’t have any clean pitchers, so I made a single glass. It was Berry Blue flavor that I chose. I poured a bit too much mix into the glass and now I am puckering through the sips that are turning my tongue the same color as Grover. This blog is progressing nicely. Such as my adventure in land of the new life I set out for two months ago. Upon leaving the city I thought, “I’m gonna live in the country and farm and raise animals and smell like dirt and leave the internet behind!” While the dirt and the animals part is true, I have noticed that (with the exception of never watching television…ever) I still can use what my cell phone and the internet have to offer. I simply must jump through the hoops of rural living to do so. I either climb the mountain or drive to where I can use the phone. My internet connection stinks, but so long as I don’t open two tabs at once and never stream video, I can make it work. side note #2: the previously mentioned spider is crawling on the side of the glad throw away storage container I trapped it under. This is very unnerving. Baseball has started. My one reason for not detesting the warm months is in full swing and my favorite teams is preforming the best it ever has. Went to a bar around here the other day to try and catch a game on TV, but the only sports station they could find on their TV was Nascar, no lie. 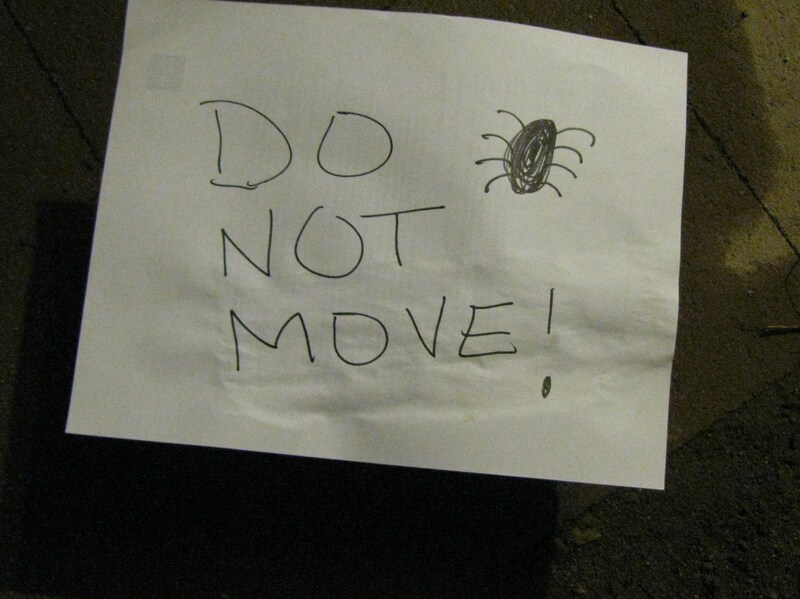 OK, the spider is official giving me the willies. I need to go find a camera and then kill his arse. I’ve decided to blog week-daily. I will, of course, break this rule. But having goals is good, and right now I have no personal goals. I dropped out of college #4 and I barely have a job. Let’s try blogging again. I cannot get the nerve to kill the spider, so I wrote a note so nobody accidentally kicks the fake Tupperware over and lands in the hospital from the surely venomous bite of the monster spider underneath. 4 Responses to I’m so hip I need a replacement. i love twitter. even more than i love facebook! the # symbol makes whatever you put after it trend. trending is that little column on the left. like say #spiders are gross or #godshouldnothavecreatedspiders . i like to make one up and then click it and see who else has used it. try it! i just started to blog and i am loving it! trying to build it up. fun fun. still jealous you’re kind of a farmer!! Thank you for ending the confusion!